This is the second post in my Family History Binder series. Click here to go back to part 1. 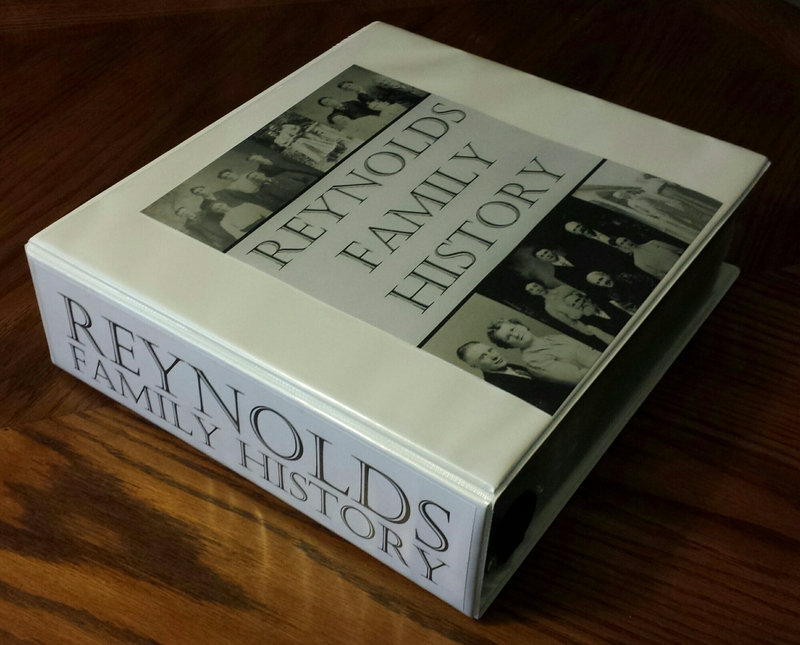 Avery 3-Inch Extra-Wide Binder – If you don’t have much info about that family, you can use a smaller binder. 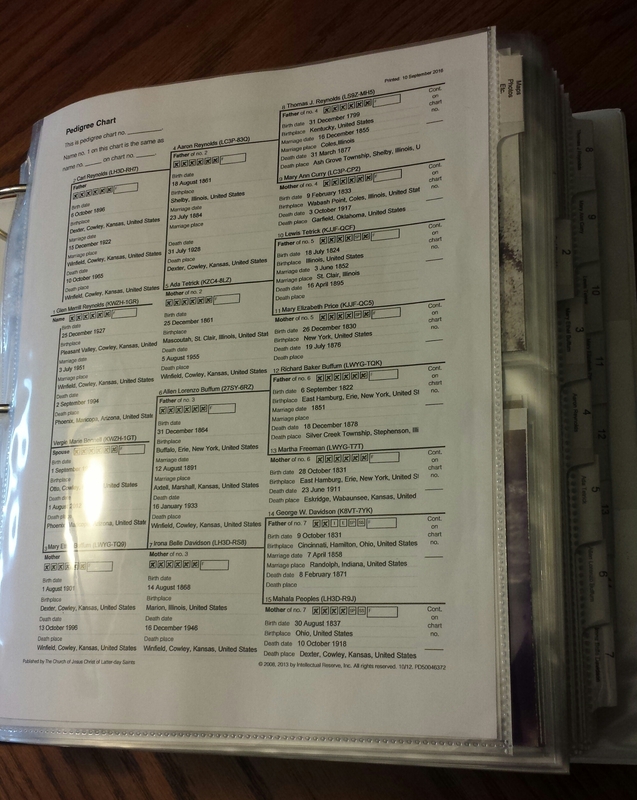 It is very important that it is extra wide though, otherwise your tabs will stick out past the edge of the binder. Avery Clear Pocket Label Dividers 8-Tab Set – These are basically thick page protectors with tabs on the side. They came with printable label stickers for the tabs but I found that those just peeled right off. Instead I printed my labels on cardstock and carefully cut and inserted them into the tabs. I got 2 sets of them so I would have a total of 16 dividers. Avery Clear Sheet Protectors Box of 200 – The amount you’ll need depends on how much info you have for your book. I bought a pack of 200 and used about 180 of them. Ultra Pro 5X7 Photo Pages – These pages each hold 4 5×7 photos and also have small slots next to each pocket to add captions. I used about 15 pages for this binder. Paper and ink – I used normal printer paper and my inkjet printer. Make sure you change your printer settings to grayscale for all of your documents. If you are more organized, you could instead have it printed somewhere like Staples. 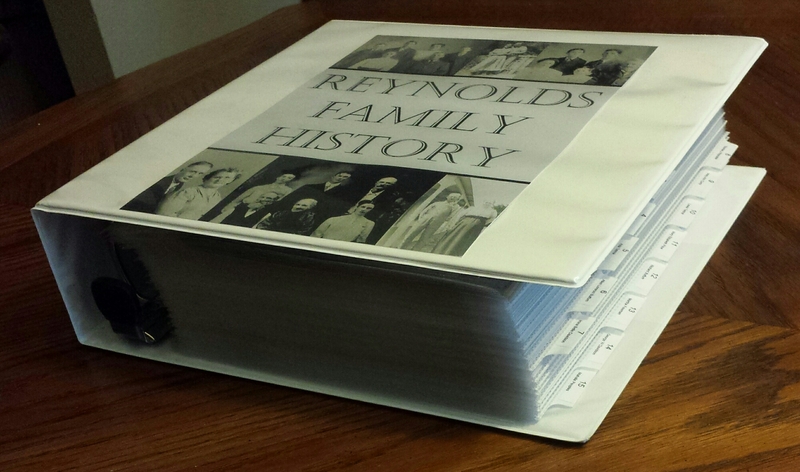 For Christmas 2016, I put together a family history binder for my father-in-law. I began at the beginning of September with the intention of including both his paternal and maternal lines, but with a baby taking up most of my time I was only able to complete the Reynolds side. This book contains information about his father (my husband’s grandfather) and 3 generations back from there, so 15 direct ancestors total. Eventually I would love to be able to create them for all of our family lines. 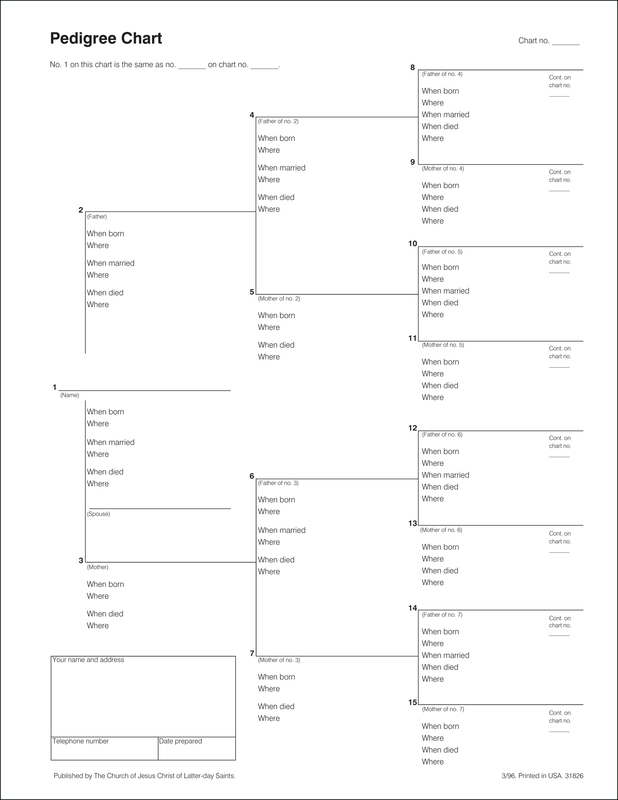 When I finally finished it on December 23rd, I decided to post a few pictures of the final product in a Facebook group called “The Organized Genealogist”. Within a few hours my post had over 2000 likes and close to 500 comments consisting of hundreds of questions and requests for tutorials. So here is my tutorial that will hopefully answer all of your questions and help you create a similar book for your family.